In 1854, Our Lady of the Lakes was established. Later in 1873, it was unanimously decided to expand the building, since the congregation was continuing to grow. Again, in 1924 they enlarged the building by expanding the church and adding a sanctuary. 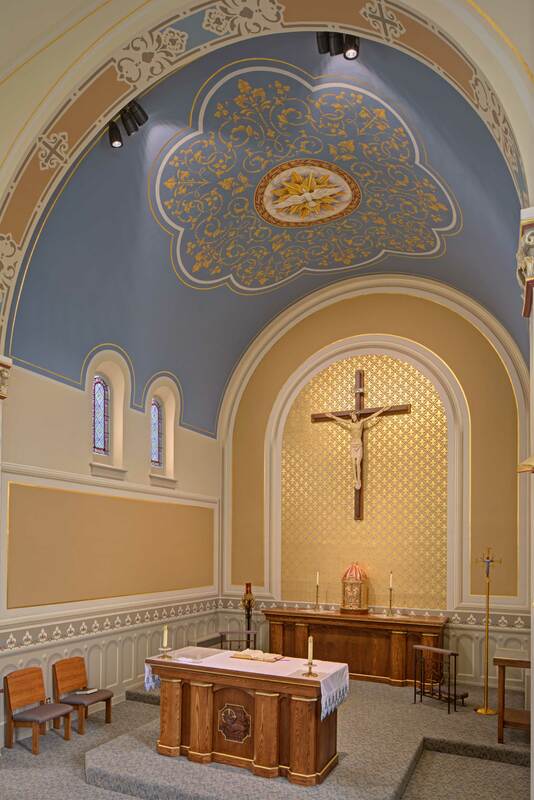 Our Lady of the Lakes continued to renovate the interior over the years, however Conrad Schmitt Studios was asked to help elevate the worship experience by updating the interior. 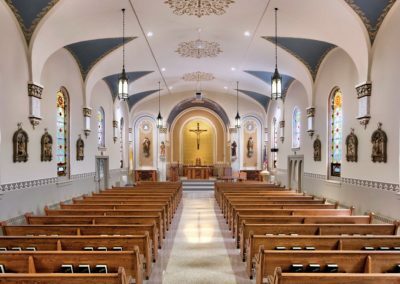 Conrad Schmitt Studios proposed to enhance the gothic and romanesque architectural details and that was just what the team did. 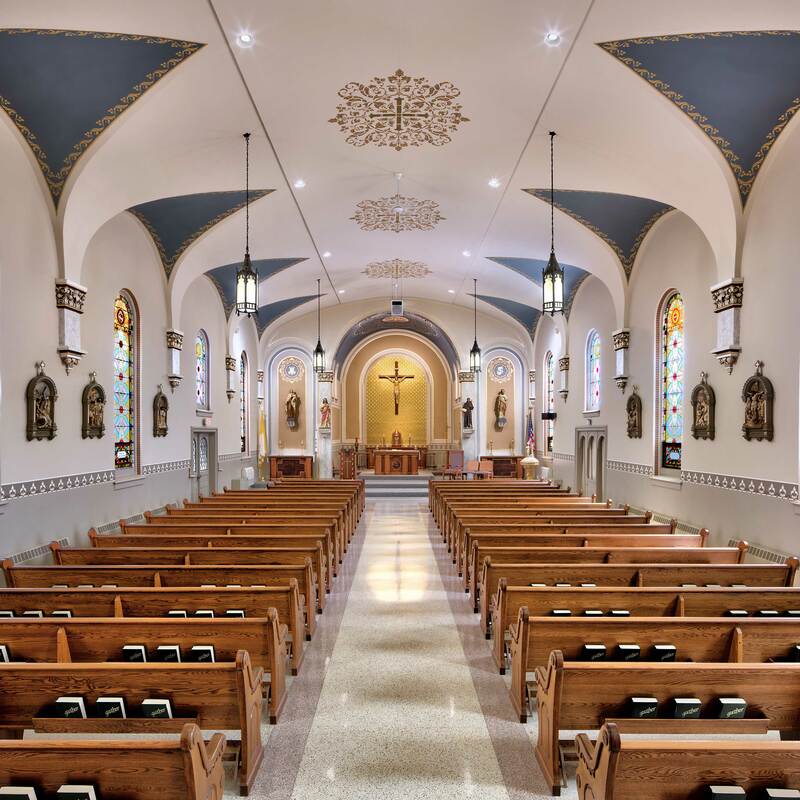 After renderings were approved, by both the project manager and Our Lady of the Lakes, phase II went underway. Using Marian Blue, 23kt. gold leaf, and warm taupe as the color scheme, CSS was able to brighten the atmosphere with in the church. 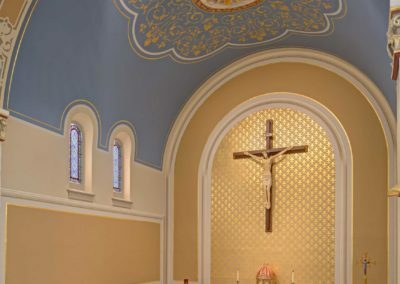 Along with interior decorative painting, CSS was contracted to wash the interior of all stained glass windows and pendant lighting to help give the church a new fresh look.